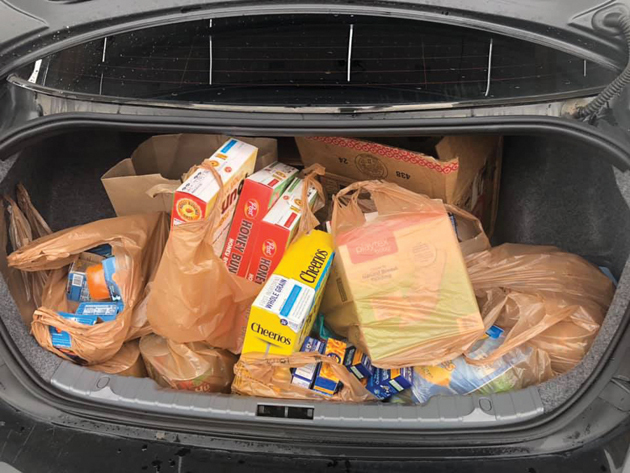 Even a week after a request for items to help those hurt by the Shutdown, the Fort Irwin community was still donating items. 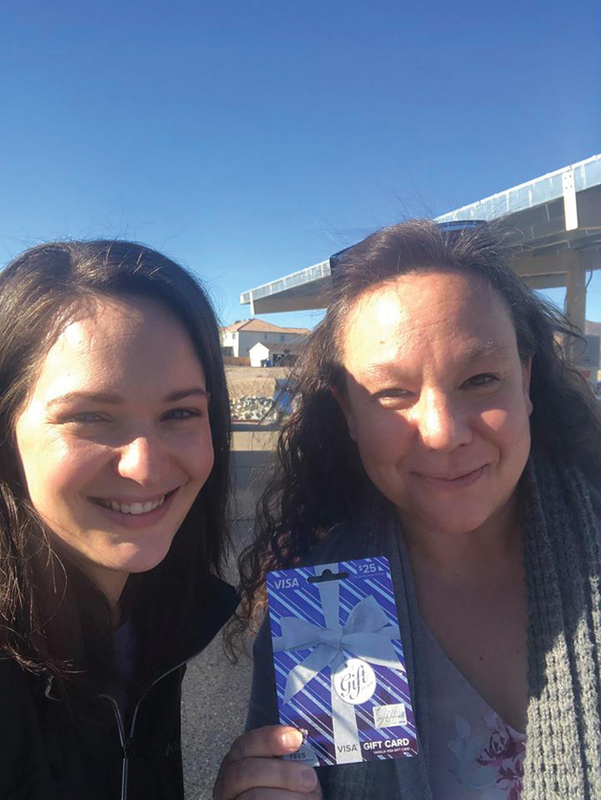 Amelia Small reached out to provide gift cards for the hundreds of federal correctional facility employees in Victorville, Calif. who are working without pay. 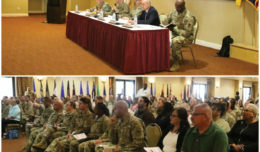 FORT IRWIN, Calif. — With 800,000 federal employees out of work in the longest government shutdown in U.S. history (35 days), a cry for help came out right here in Fort Irwin—an obvious hub of government workers. Michelle Garin works on post and was still receiving her paycheck…but for more than 30 days, her husband was not. Garin’s husband works at the Federal Correctional Complex with employees she said are mostly veterans—some who have single-income families. She said those furloughed workers have been struggling to afford groceries and day-to-day essentials that some may take for granted, especially living in an area with a higher cost of living, like Southern California. 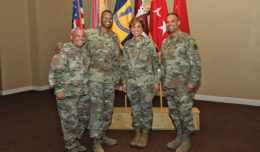 Garin, like many across the country, jumped into action, reaching out to the Fort Irwin community for help assisting not only her family, but the hundreds of families that worked with her husband, who were also suffering. She posted her plea to social media and the Fort Irwin community responded graciously. Small was the first to respond to Garin’s Facebook request for assistance. Her family just moved to Fort Irwin last month but that didn’t stop her from donating gift cards, she said, so those in need could buy whatever they needed. Lilly Ortega and her husband Sgt. 1st Class Jesus Ortega, had similar thoughts when deciding to donate money. Ortega said, since her family actually received a paycheck, she thinks she and her husband should always make room to help those in need. Meg Kmetz has lived on post for about a year and decided to donate some baby items. Garin collected the donated items and took them to the Federal Correctional Complex Administration building to distribute to those in need. “We have all experienced that panic and fear of not having the funds to provide for our family more than once because of a shutdown in the past few years,” Garin said. Besides correctional officers, other federal government groups hit hard by the government shutdown included Transportation Security Administration employees and the U.S. Coast Guard. More than 50,000 TSA workers were among those who missed a paycheck but were expected to still go to work. The Coast Guard, unlike other branches of the armed forces, is funded by the Department of Homeland Security. About 41,000 active-duty service members and 2,100 civilians worked without a paycheck. 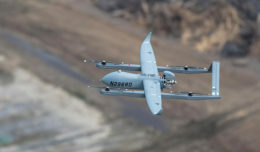 The other branches of the military fall under the Department of Defense, which is fully funded until Sept. 30. The Fort Irwin community answered the call for help and donated everything from baby items to cereal and food for local, furloughed workers.